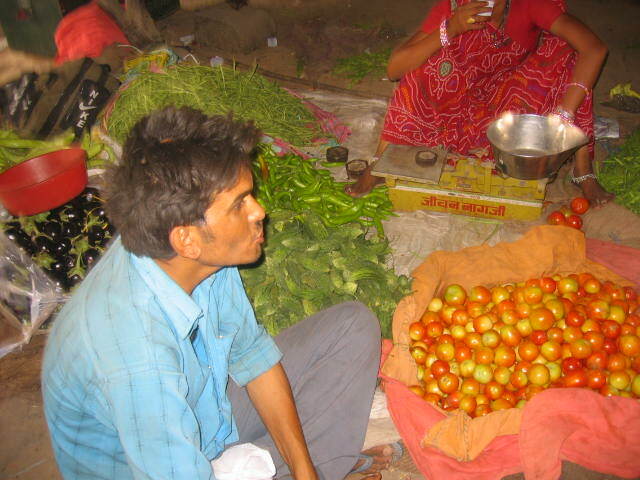 Business: Vegetables, Fruits, Clothes, Lather Items, Chat Pakori, Plastic Items, Shoe etc. Which is convenient for shopping for the residents of the area? The main problem for the vendors here is the illegality of business which means they have no authority to do the business in this market. They become easy targets for authorities to harass and extort. 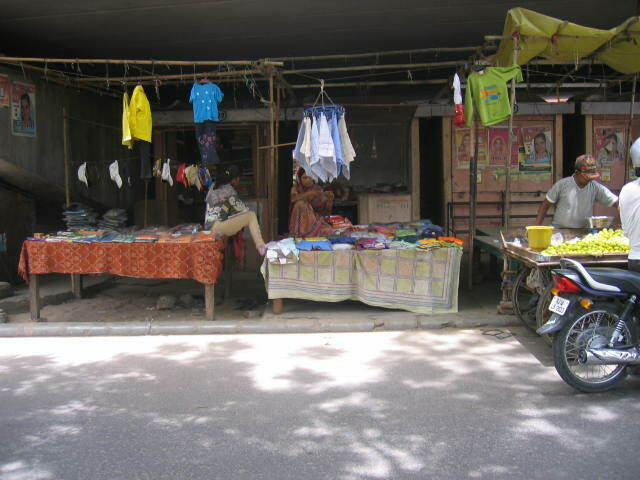 6 years ago the street vendors from this place were shifted near Khatipura Road Pulia and were provided all the basic facilities too but The market is situated at the prime location in the Jhotwara area they came back only in few months as the business wasn’t viable. Most of the vendors agree to relocate unanimously. They even agree to pay some affordable amount for permanent space. Their only concern is viability of business. They have unity and they do not face any problem for government authorities. They used to vend at the place where the Hyper City Mall is today. But due to construction of the Hyper City Mall, they had to leave the place. 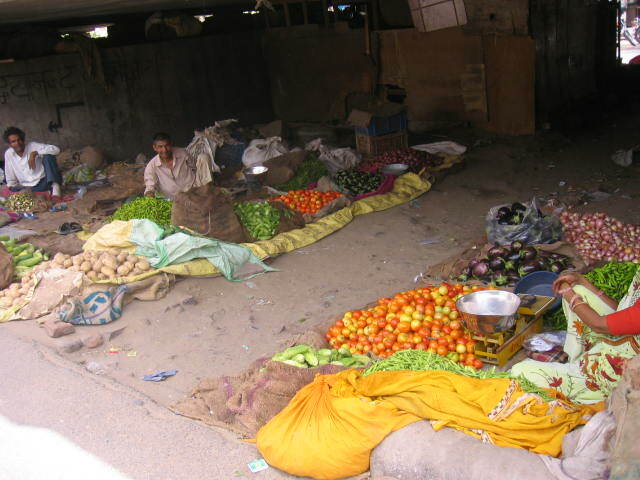 This flyover was made in Year 2000 and the vendors have been vending here (under the flyover) since then. The street vendors pay Rs 100/- a month to JMC and get receipt. 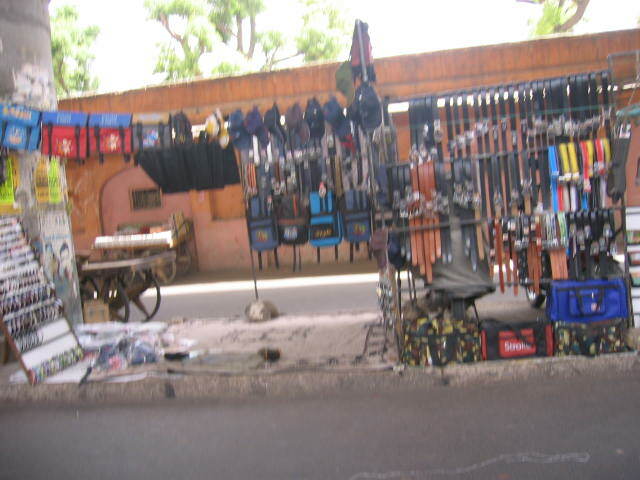 Few kiosks were made by government and given to poor handicapped people who they later sold or rented to other vendors.